Women are the backbone of most societies. Where I live, there is no doubt this is true. In Haiti, women are making things happen 365 days a year. They might even laugh a bit at the idea of an international day set aside to honor them. They would have little time for that, they are far too busy working, hustling, pushing ahead. 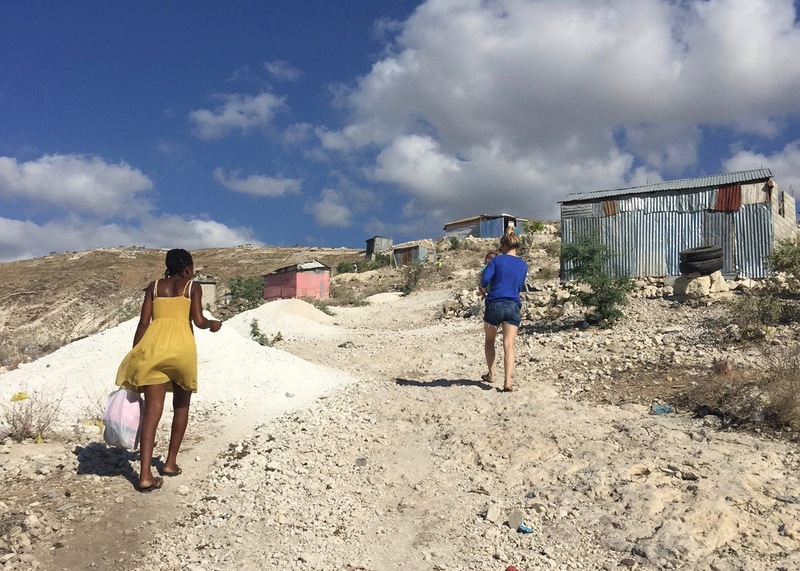 It is not uncommon to hear visitors leave Haiti after a visit only to quickly and confidently report that their lives will never quite be the same again. It happens over and over again. What is it? What moves these folks to feel that way? Haiti is a country of stark and overwhelming contrast. There is stunning physical beauty, both the landscape and the people. At every turn you meet Haitian women that live their lives with inspiring strength, courage, and grace. Over and over women are handling the responsibilities of the home as well as being the main breadwinners for their families. These women, they humble us. The good is so very good. The beauty so rich, so staggering. On the flip side there is deep poverty, and sometimes very deep corruption, wrongdoing, and abuse. The weak are not often protected, it can be devastating to witness. Haiti, it is beauty and it is horror. Every culture has its strengths and weaknesses. That is not what makes Haiti unique. Haiti just functions in the extremes. The contrast is so incredibly in-your-face that you almost cannot categorize what you’ve seen or felt or been able to touch and smell and taste. Our love (or distaste) of a place is either born of our own experience or from hearing of someone else’s experience. There are many who have heard only the bad things about Haiti. Their opinions are based off of the incomplete snapshots of others … Our opinion of the country and her people will depend on what we choose to focus on and see… All of it is real. The good. The bad. The beautiful. The hideous. But what sticks with us? What comes to represent Haiti? For me, it is the women. I am especially touched, moved, inspired, awed, strengthened, fascinated, challenged and in love with the women of this culture. The women often leave me speechless. These ladies have seen things. They know things. They exude wisdom and knowledge. They hope for their children. They work and invest in their grandchildren. They are bold in their hope for more. They are bold in their hope for change. The women carry the majority of the daily work. From my perspective they carry this land on their heads and they do it with style. They are tough, strong, courageous, reliant, tenacious, and graceful. Watching them and all they cope with and endure makes me want to be a stronger woman too. I could keep you for hours telling you individual stories of women in Haiti that are being bold for change. When you have hours, please let me know. For now, please meet Jocelyne Etelier. Jocelyne is a married woman. She is 32 years old and just delivered her baby boy Samuel a little over one week ago, on February 27th. Her husband works far outside of the city and comes home to see her for two days once every fifteen days. Haitian culture and poor access to healthcare makes it very difficult to take health situations seriously. For many, misinformation, not enough physicians or hospitals or clinics, and superstition, have guided patient decisions and blocked the route to high quality care. It is fairly common for high blood pressure to be dismissed or written off as false or a curse. Believing that high blood pressure can kill and can cause great risk in pregnancy is difficult for women that have not been given the correct information in the past. 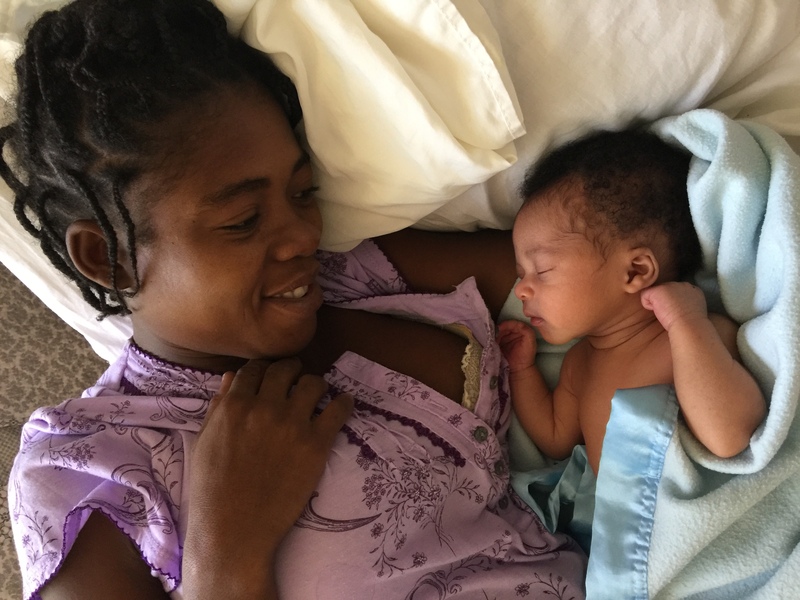 Jocelyne made a decision to sit in class every Thursday of her pregnancy and learn about pregnancy and some of the most common risks Haitian women might face. She believed what she learned and when she was 34 weeks and 6 days pregnant she arrived on a Thursday to be told she was officially borderline for Pre-Eclampsia. From that day and for the next three weeks we had her on modified bedrest and she chose to be bold for change and trust what we asked. This meant many nights sleeping away from home where she could be monitored and checked. She trusted us when we explained why we felt it was time to induce at 38 weeks into the pregnancy. She believed that we were telling her the truth when we explained why the induction was likely to be difficult and therefore we wanted to transfer her care to a hospital because there was a great likelihood she would need a C-Section. After the induction at the hospital was unsuccessful she had a C-Section there and welcomed healthy baby Samuel. She returned to our Maternity Center to spend a few days bonding to Samuel and practicing breastfeeding and getting him latched correctly. Once she felt ready, we headed to Jocelyne’s home. Six days post C-Section Jocelyne climbed the steep hill to her home and welcomed us in to visit and pray and thank God for her son. While sitting in Jocelyne’s home we learned that she has six sisters and that her mother died as a result of complications from untreated hypertension. Jocelyne said she wants all her sisters to learn more about their health and take charge of their situation so that they can all live many years and be alive and available for their own young children. This is a woman, bold for change. She wants it for herself, her sisters, her country. On this International Women’s Day I honor Jocelyne and the women of Haiti. Thank You for sharing that story. It puts a perspective of what’s really important. Hi Stephanie, Thank you for taking the time to read and share your thoughts. We appreciate you! Beautifully written story by Livsay. God bless Jocelyne, her baby, and all others like her. And God bless all the staff at Heartline Ministries who care about and lovingly treat so many who need their help. Thank you for reading and for your kind words of encouragement Linda! We are truly grateful for your support and prayers. This is so beautiful, Tara and highlights the wonder and inspiration of Haiti! Thank you for sharing it! Hi Samantha! Thanks so much for reading and for your response. The women of Haiti certainly inspire all of us! Congratulations to Jocelyne and her family. She is a “POTO MITAN”. Thank you for sharing her beautiful story of strength and honor with us in a way that those who are not familiar with the Haitian culture could easily understand. Hi Missy! Thank you for your reading and for your kind words. We loved hearing from you. It is truly an honor to know these amazing women.